Navigate to the Leases page. 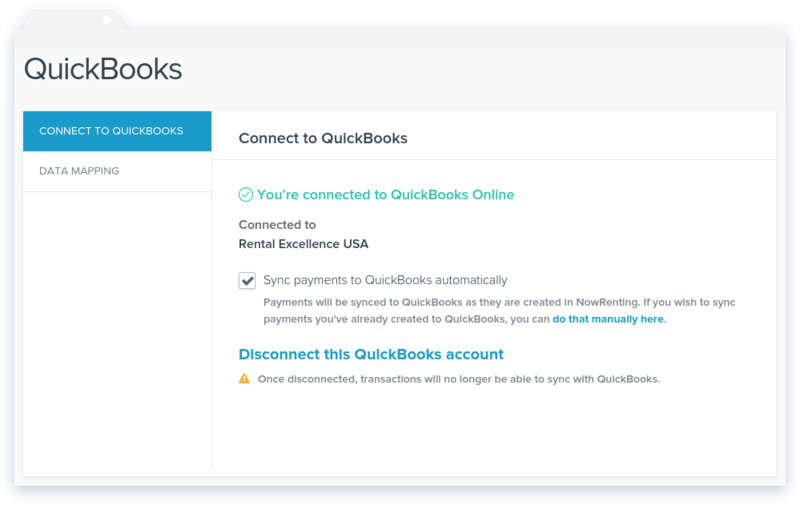 If you have payments that have not yet been synced to your QuickBooks Online account, there will be a See Details link to the QuickBooks Sync page. The QuickBooks sync page shows a list of payments waiting to be either synced to QuickBooks or skipped. You can view the details of any payment by clicking the Details link. Needs Attention means the transaction has not been exported to QuickBooks, Exported means the transaction has been exported and Skipped means the transaction was deliberately not exported to QuickBooks. From the Transaction Details screen, you can choose to skip or export the individual payment. Payments that are skipped are removed from the Needs Attention list and not exported to QuickBooks Online. To export multiple payments at once, click the check boxes next to the payments, then click Export Selected. 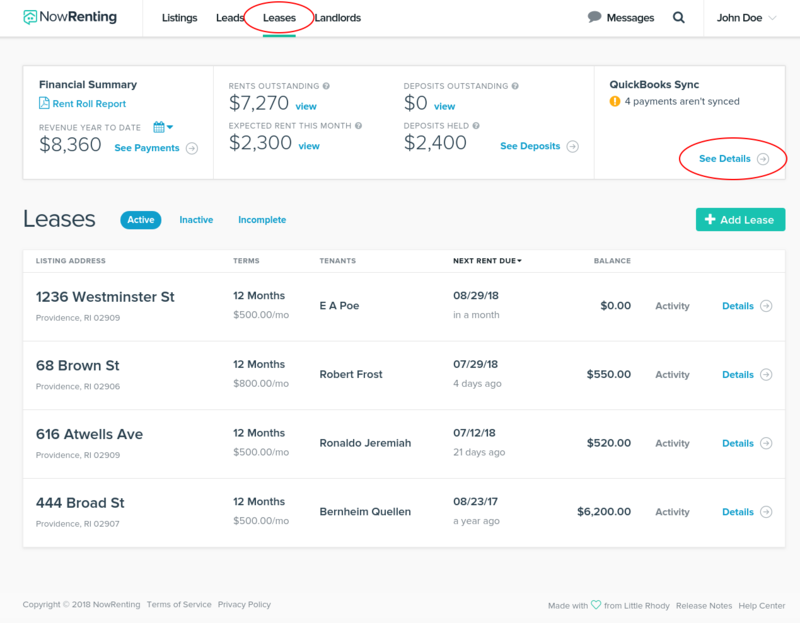 Note that NowRenting only adds new payments to QuickBooks Online: if you need to edit or delete a payment that has already been synced, you’ll need to do that in QuickBooks Online itself. Automatic syncing is also available for QuickBooks Online. Navigate to the Quickbooks > Connect to QuickBooks page. Payments will be sent to QuickBooks Online as soon as they’re created. Note that payment updates and deletions in NowRenting are not automatically synced to QuickBooks Online.